Using fresh herbs is a great way to boost flavor to any dish. Whether you are growing them yourself, picking them up at the local farmers market, or stopping by the local grocery store, incorporating herbs will instantly make you feel like a seasonal chef. Mint – The most famous breath freshener, Mint is a natural stimulant that can help with fatigue, anxiety, and promotes relaxation. Oregano – Oregano is an excellent source of vitamin K and Manganese, which are both linked to healthy bone production. Rosemary – Rosemary has similar benefits to Mint such as anti-inflammatory compound and promotes relaxation. Sage – Research has shown that Sage can boost memory performance. In fact, the active compounds in Sage are even found in some drug treatments for Alzheimer’s disease. Thyme – Thyme has antimicrobial properties and is useful to incorporate into fresh produce to ensure food safety. Parsley – Parsley is a good source of vitamin C, which helps improve your immune system and fight off infections. 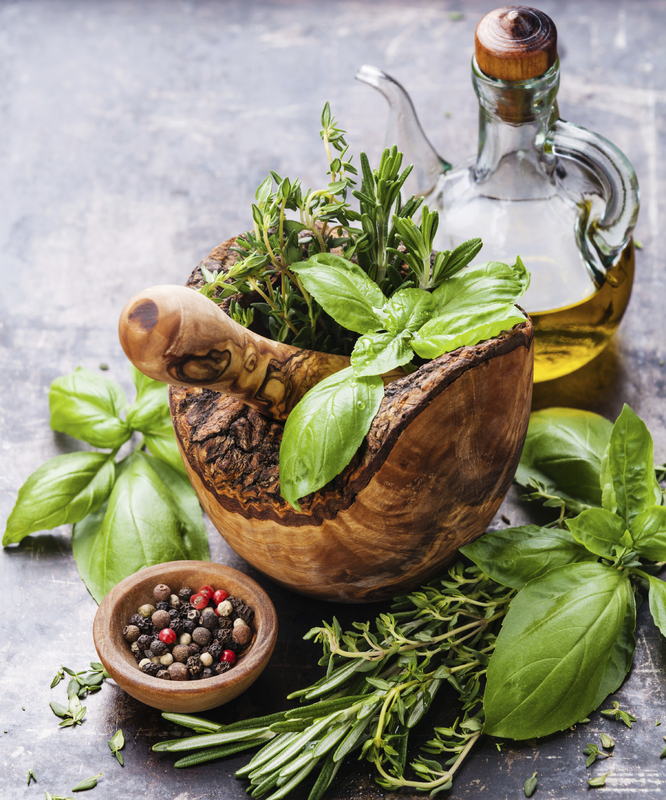 Using herbs in your meals can be as easy as adding Thyme to a fresh salad, using Oregano on your homemade pizza, or drinking a cup of Mint tea before going to bed. The possibilities are endless and your body will reap the health benefits! What ways do you use herbs? McVicar, Jekka. “The Extraordinary POWERS Of Ordinary Herbs.” Natural Health 33.2 (2003): 80. Health Source – Consumer Edition. Web. 21 July 2015.